5.11® Station Grip Gloves combine rough and rugged durability with a strong and dependable design that stands up to the toughest tasks. 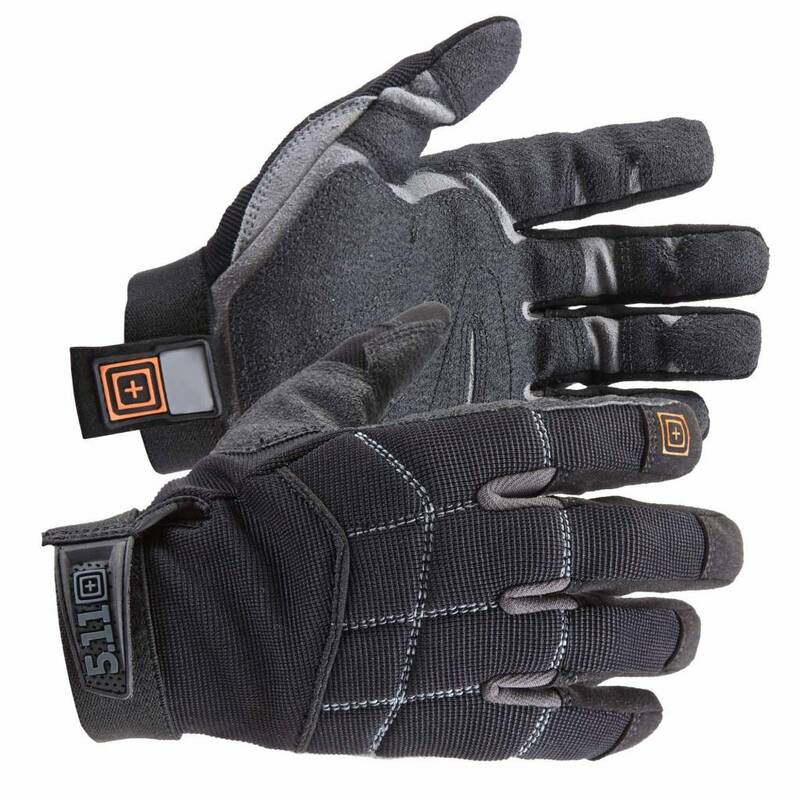 5.11® Station Grip Gloves combine rough and rugged durability with a strong and dependable design that stands up to the toughest tasks. 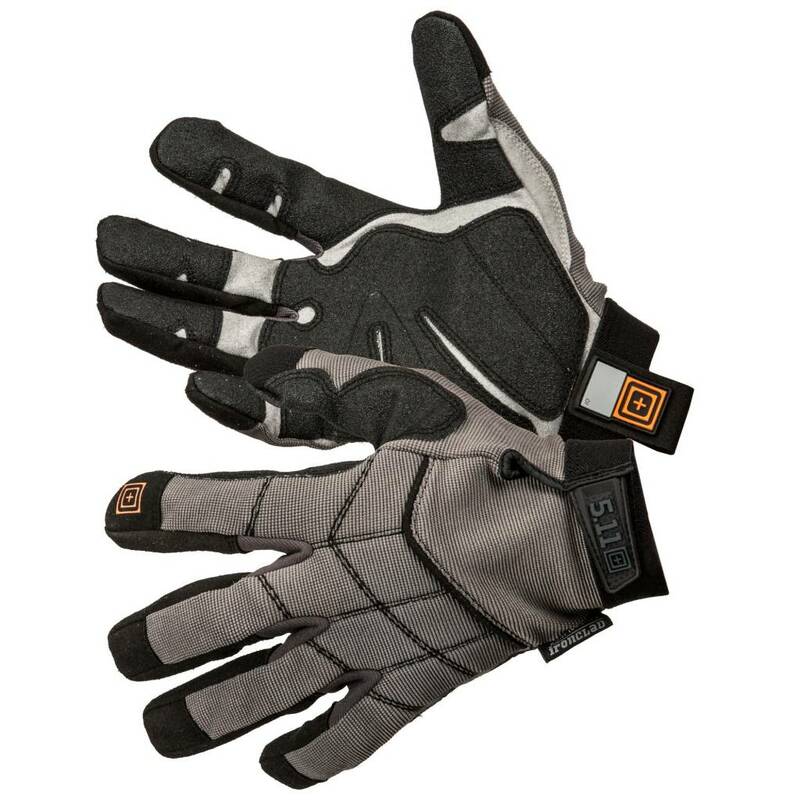 Heavy duty leather reinforcements at the palm and fingers offer flash-and slash-protection while remaining flexible and responsive, a knitted back panel offers four way stretch characteristics to ensure a snug and secure fit, and padded knuckles guard against impact and abrasion. Elastic wrist closure keeps out moisture and debris, and the fast-dry design offers excellent shape retention when working in wet or oily environments.